Obtaining a car loan is probably the right financing option for the majority of drivers. The car lease option, which is perfect for some drivers, will be discussed just below. A car loan has fewer restrictions than a car lease. The main benefit of a loan is that there is no mileage restriction, in contrast to leases which do include mileage restrictions. Also, when the loan is paid off, the driver owns the vehicle. When a lease is over, the vehicle must be returned to the dealership if the leaseholder does not decide to purchase it. Also, drivers can sell their vehicle during the car loan period with little trouble. There are various penalties associated with ending a car lease early. At our Oklahoma City car dealership, drivers can benefit from a variety of car loan options. What Are The Benefits Of A Car Lease? The biggest benefit of a car lease, which is what draws many drivers to this option, is the lower monthly payment. Just how much lower the monthly payment depends on many factors, such as the vehicle, the driver’s credit history and the stipulations of the car lease agreement. Also, car leases are usually considerably shorter than car loans, so drivers can try a new vehicle sooner. Finally, leasing a vehicle may provide liability and tax benefits, especially if the vehicle is actually leased to a company. When they come into our car dealership, Oklahoma City drivers can learn more about the car lease options available to them. Can I Get Pre-Approved For Financing Online? Our Finance Center offers a financing pre-approval application on our website that makes it easy to get the ball rolling when you’re trying to get a car loan on the vehicle of your dreams. All you have to do is browse through the inventory on our website and find the right car. When you’ve found the vehicle you want, you can complete and submit the pre-approval application in minutes. Drivers that have been pre-approved can bring their quote into our Oklahoma City car dealership to finalize the financing and drive away in their dream car. 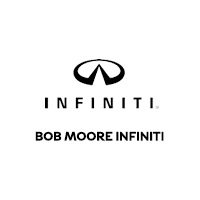 Visit the Bob Moore INFINITI website today and apply for pre-approval on your dream car in minutes. Can I Trade In My Current Vehicle As Part Of The Financing Process? Many drivers want to trade in their current vehicle to make obtaining a new vehicle that much easier. Our website makes it easy to get an estimate on the trade-in value of your current vehicle. When you have your estimate, bring it in with your current vehicle and we’ll work with you to complete the trade-in process. The Bob Moore INFINITI website allows you to get an estimate on the trade-in value of your current vehicle. Get the ball rolling on the trade-in process today. Drivers in the Oklahoma City region are welcome to visit the Bob Moore INFINITI Finance Center at their earliest convenience. Our friendly and well-informed associates are ready to help you evaluate your car loan and car lease options today. Stop by our finance center today and we’ll help you make your dream car a reality.